HED - Haewei Education Development Co., Ltd.
Haewei Education Development Co., Ltd.(HED) began studying in Japan business with the name of Korea Japan Education Development Institute in Yeouido in 1984. At that time, there were only a few companies which dealt with studying overseas business, especially, our institute was the only one which specially handled studying in Japan. Since then, 30 years have passed. The world is developing and changing to various figures. People's purposes, who go studying overseas, are also getting more diversified. Therefore, our institute, which claims to stand for specializing in studying in Japan, is exerting efforts in collection, arrangement and provision of the information with regard to school, major, procedure, living, job, etc. to reinforce our professionalism. 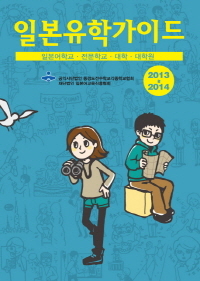 HED is also concentrating on publication related to studying in Japan, besides the procedure for studying in Japan. 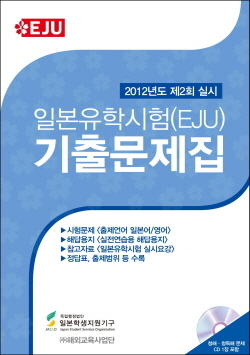 Our company is presently focusing on the publication of 『Guide for Studying in Japan』『Sample Questions from the Previous Examination for Japanese University Admission for International Students』, and previously, we published 『J-BOOK』, a magazine which introduces Korean public culture to Japan, and 『HOT CHILI PAPER』, a magazine which introduces Korean public culture to Japan. Furthermore, HED is also promoting overall tasks of overseas education by handling overseas travel business including air ticket issuance for international students, field trip of middle•high school and college students, as well as home stay. We fully engage ourselves in fostering talented persons who lead the world in this global period and contributing to human development and world peace. Particularly, Japan is highly valuable for international students. Japan provides opportunities of the leap and success for young students, and is an advanced country which has lots of things for us to learn about, e.g. economic power, technical skills, etc. We intend to prepare for new 30 years' plan to provide the opportunity of success in studying in Japan more fruitfully, at the same time, sending encouragement to those all the young students who have will to study in Japan. 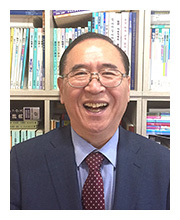 President, Song, bu-yeong, Haewei Education Development Co., Ltd.
Alteration of Company Name to Hankuk Education Development Institute Co.,Ltd. Though each country has different educational system, however if the students prepare according to their purpose and adjust time, anyone can raise adaptability and lead a successful overseas education in high school. Here, we have specialized counselors who can design early studying abroad by comparing, selecting each school, utilizing our experiences and know-how that we could get through arranging your children's studying abroad. In case if our proud boys and girls want to enter world level higher education, they can enter schools as full-time students, if they are prepared with language abilities. If they are not well prepared, they can prepare undergraduate study abroad through a conditional admission into a school or language training. Even if you are concerned about the high school grades, the universities of the world open the door if you have definite academic ability or sense of purpose. Professional Schools are gaining popularity in the name of practical study, where students can learn professional technique and skill for future occupation. To cultivate competitiveness in the workforce by learning professional skills per field in Japan is the 21th-Century type study abroad. If you aim at scholastic research by studying abroad for the university and graduate course, the final goal must be the degree. We assist you to apply for a prestige school by maximizing your ability to attain the final academic degree. Language Study is a course of learning a language. We have long-term/short-term language study programs to prepare foreign language to cope with the global age. Especially, we recommend you for customized programs designed for financial capacity, period and purpose. Various programs, e.g. artistic study abroad, physical education abroad, corporate training, MBA, hotel school, CEO Course, Teachers' overseas training, Vacation overseas training, etc. HED is recently publishing mainly with 『Sample Questions from the Previous Examination for Japanese University Admission for International Students』. 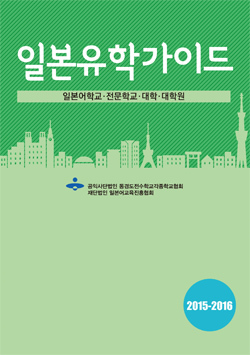 During the last years, we published lots of informational books regarding studying in Japan and studying abroad as well as public cultural magazine between Korea and Japan. Once we published 50 kinds of books by operating a separate publisher, "Han-gyowon", then transferred the management rights. HED possesses a license for general travel business. 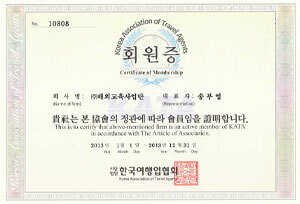 As a member of KATA (Korea Association of Travel Agency), our company registered in Seoul for inbound and outbound business. Therefore, we are qualified to do business related to visa issuing and overseas travel. Furthermore, we are specialized in the projects as below, since we are qualified to perform all tasks of travel business related to studying abroad.